The JW Marriott Grosvenor House Hotel, the Grande Dame of Park Lane, is now back on the market and is expected to sell for a considerable fee. London’s largest luxury hotel, the JW Marriott Grosvenor House Hotel was put up for sale after its owner, Sahara Grosvenor House Hospitality, went into administration. The hotel last changed hands in 2010, when the Royal Bank of Scotland sold it to Sahara for a record-breaking £470 million ($702.7 million), making it London’s largest ever hotel transaction. Marriott took over the lease on the property in 2004, flagging it the JW Marriott Grosvenor House Hotel in 2008, after it underwent a £135 million ($201.8 million) refurbishment. The historic hotel, located at 86-90 Park Lane overlooking Hyde Park, boasts 494 bedrooms including 74 suites and spans over 56,700 sq m in total. The hotel’s conference and meeting facilities are among the most extensive in London, comprising 5,660 sqm of space across 31 venues, including the Great Room, the largest five-star ballroom in Europe. It is also home to some of the most famous bars and restaurants in London including the JW Steakhouse & Terrace, Corrigan’s Mayfair, the Park Room & Library, Red Bar, Bourbon Bar and Park Lane Market. JLL Hotels & Hospitality Group has been appointed the sole agent to market on behalf of the administrators and the LPA receivers. 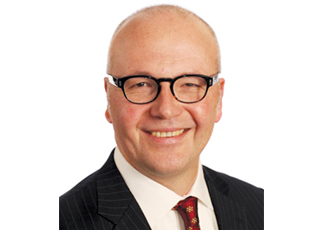 Mark Wynne-Smith, Global CEO of the Hotels & Hospitality Group of JLL, is heading up the sale. “Often these things get placed and it is quite infrequent that sales get to run but here we have decided the right thing is to run an open market process on it so we are talking to a broader range [of investor] than we might normally. It is being very widely marketed,” he tells TTN in an exclusive interview. The 2010 purchase price of £470 million ($702.7 million) was exceptional, and while JLL is keen to stress that it will not be commenting on price, it is widely accepted that the landmark property will change hands for a considerable fee. In addition to the property asset, another key factor in the sale is the 37-year operator lease with Marriott International. This will remain unaffected by the sale, with Marriott transferring to the new owner, and the prestigious JW Marriott brand designation likely to remain. “Most London hotels of this calibre are normally on management contracts or the operator and the ownership is the same. Having the lease here is a big difference. It just brings in a broader market, because there are institutional investors who don’t necessarily look out for hotels and clearly it brings that pool of buyers into the equation. If you look down Park Lane it is all high net worth individuals and mostly offshore where the likely source of capital will be,” Wynne-Smith remarks. Dubai’s Jumeirah operates the neighbouring Grosvenor House Apartments by Jumeirah Living on a long-term management contract. When asked if the two developments might once again come under the same owner, Wynne-Smith stresses that the Jumeirah apartments are “exclusive from what we are working on,” although he did indicate that the Middle East, along with the US and Asia, were the regions most likely to see investor interest for the Grosvenor House Hotel sale. The most recent hotel sale on Park Lane was the InterContinental London Park Lane, which was acquired in 2013 by Constellation Hotel (Opco) UK, an affiliate of Qatar-based Constellation Hotels Holding, for £301.5 million ($450 million) for the lease and a further £100 million ($149.5 million) for the freehold. The deal was concluded on a sale and leaseback arrangement, which saw IHG secure a 30-year management contract, with three ten-year extension rights, on the five-star property. The sale of the InterContinental London Park Lane for in excess of £400 million ($598 million) means that JLL’s Wynne-Smith has every right to feel confident of a satisfactory outcome on the Grosvenor House Hotel sale. “The last hotel transaction on Park Lane took place two years ago and as the market has strengthened since then, we are looking forward to engaging with investors in an open marketing process,” he maintained. Designed by acclaimed architect Sir Edwin Luytens of New Delhi, the Grosvenor House Hotel became the first in Britain to introduce en-suite bathrooms and running iced water in each and every bedroom when opened in 1929. It was built on the site of Grosvenor House, the former London residence of the Dukes of Westminster, whose family name is Grosvenor. The hotel’s Great Room was originally built as an ice rink, and the workings for this still remain beneath its floor. As a child, Queen Elizabeth II took ice skating lessons in the Great Room. In 1934, the ice rink was converted into a ballroom, and has been used ever since for some of London’s most prestigious gatherings. 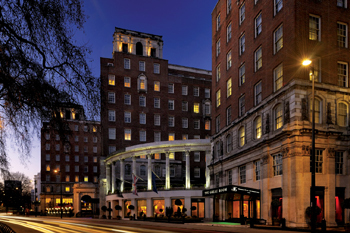 Marriott took over the management of the property in 2004, fulfilling a long-term ambition of Mr Marriott himself to acquire the ‘Grande Dame of Park Lane’. The hotel underwent a four-year renovation before being reflagged as a JW Marriott in September 2008. Marriott also operates the London Marriott Hotel Grosvenor Square, London Marriott Hotel Park Lane and Grande Residences by Marriott in Mayfair. Marriott declined to comment on the forthcoming sale. Deloitte has been appointed administrator to Sahara.